In HBO’s “The Inventor: Out for Blood in Silicon Valley,” director Alex Glibney decides to jump on the already crowded Elizabeth Holmes bandwagon. Within the past year, countless articles, a book and a serial podcast have all been created to investigate how biotech company Theranos deceived millions into believing they could revolutionize the medical world. Gibney fails to penetrate beyond the surface of the Theranos scandal and comes up with disappointingly few revelations about Holmes, the company’s infamous CEO. Ryan Wistort, a former researcher at the company, tells a story that exemplifies the omnipresent fraud at Theranos. Theranos’ promised innovation manifested in the form of the “Edison,” a small black box that could accurately test a drop of blood for diseases without the need for intravenous needles. After telling his colleagues that there were serious and unresolvable issues with the Edison’s medical hardware, they would respond by telling him that he’s “not a Silicon Valley person,” and that he should “maybe work for another company.” The same people that ignored Wistort’s findings would then have two-hour brainstorming sessions centered around the name of the cloud that would store Theranos’ medical data. Wistort reveals Theranos for what it was: a genius marketing campaign backed by a useless product. Gibney paints Elizabeth Holmes, Theranos’ former CEO, as an overambitious hack who cannot seem to process the meaning of the word “no.” She defies all reality and logic in order to see her grandiose vision of the future come to fruition. But all of this is obvious and familiar territory. Holmes’ actions have been revealed and analyzed over the past several years through thorough journalistic and legal investigations. But Gibney fails to push beyond what countless others have already said about Theranos and its misdeeds. Gibney, who has directed documentaries on the life of Steve Jobs and Enron (the company which employed Holmes’ stepfather), is working well within his range with “The Inventor.” In May 2018, Wall Street Journal reporter John Carreyrou published “Bad Blood: Secrets and Lies in a Silicon Valley Startup,” a book detailing his investigation of Theranos’ Edison blood tester. This past January, ABC News produced a podcast on the same subject. 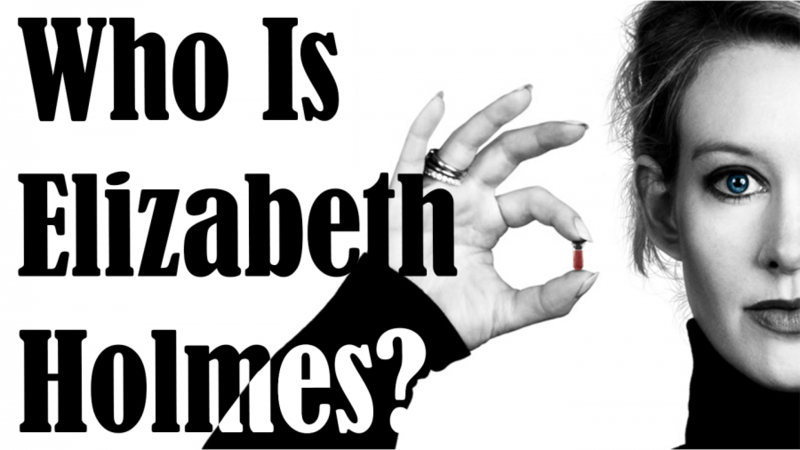 “The Inventor” adds little to the already towering mountain of information on the Theranos scandal and fails to answer the question that is on every viewer’s mind: why exactly did Elizabeth Holmes do what she did? Gibney’s sole achievement is tricking the audience itself into trusting Holmes. He documents her early years as a prodigious chemist who, at 19 years old, dropped out of Stanford with the singular goal of fundamentally changing the way blood tests are conducted. For the film’s first quarter, it’s almost impossible to not admire Holmes’ unlimited ambition and blue-skied optimism. Her promise to prioritize preventative care and rid the medical world of intrusive and painful IV blood tests piqued the interest of former Secretaries of State George Schultz and Henry Kissinger, with the latter describing her as having “an ethereal quality.” Lacking any semblance of concrete scientific evidence, Holmes relied on nothing but her charisma to convince the elder statesmen that she was inventing a revolutionary medical device. Although she is saying nothing of substance, when Holmes speaks about the machines she developed that can test a tiny drop of blood for over 200 diseases, she speaks with total convincing authority. In all of the interviews featured in the film, she carries herself with the aura of a true visionary, one who will never stop in order to achieve the reality she envisions. Gibney relegates his exploration of Holmes’s confounding psyche to a mere 10 minutes, a seeming afterthought that takes place just before the credits roll. Ken Auletta of The New Yorker raises the question: is Holmes simply a liar, or was she a zealot, blind to the fact that her invention was nothing more than a plastic box filled with useless medical hardware? Auletta believes the latter, but Gibney takes no firm stance. What Gibney ultimately suffers from is poor timing. In 2018, Holmes was indicted by the State of California on a deluge of fraud charges. Her legal fate is yet to be determined, but the wire fraud charges she is currently facing could land her in prison for up to 20 years. For the past six months, the case has been in limbo as lawyers from the prosecution and defense explore facts and build arguments while Holmes has pled not guilty. If Gibney had waited several years to make “The Inventor,” he could have instead focused on the ramifications that would have no doubt arise as a result of the legal case against Holmes. Perhaps Gibney’s comfort with the tech industry caused him to coast through the production of this documentary and create something that punches far under its weight. Questions about Holmes remain, and we can only hope that they will be answered as the Theranos legal case unfolds over the next few years.